This book Prameya-ratnavali, is largely based on the teachings of Madhvacarya, and thus a fontal attack on the impersonality teachings of Sankaracarya and his followers. 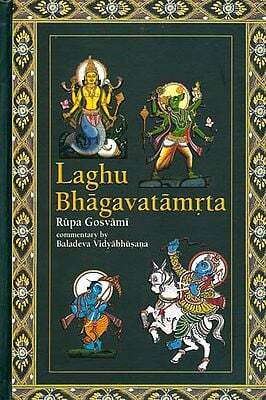 In that great battle Baladeva places before us numerous verses from the Upanisads, along with their correct meanings. 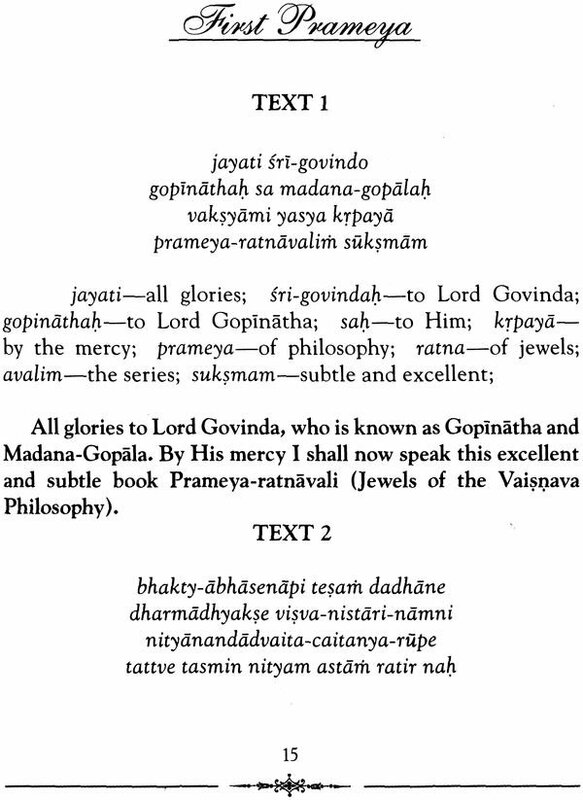 It is interesting to note the dedication to Srila Prabhupada’s Bhagavad-gita As it is: To Srila Baladeva Vidyabhusana, who presented so nicely the Govindabhasya commentary on Vedanta philosophy. 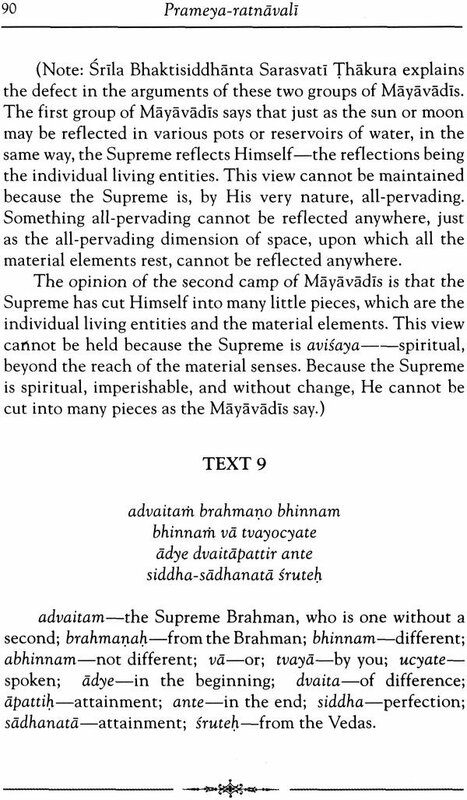 Baladeva Vidyabhusana’s best-known and most celebrated work is His Govinda-Bhasya commentary on the Vedanta-sutra. 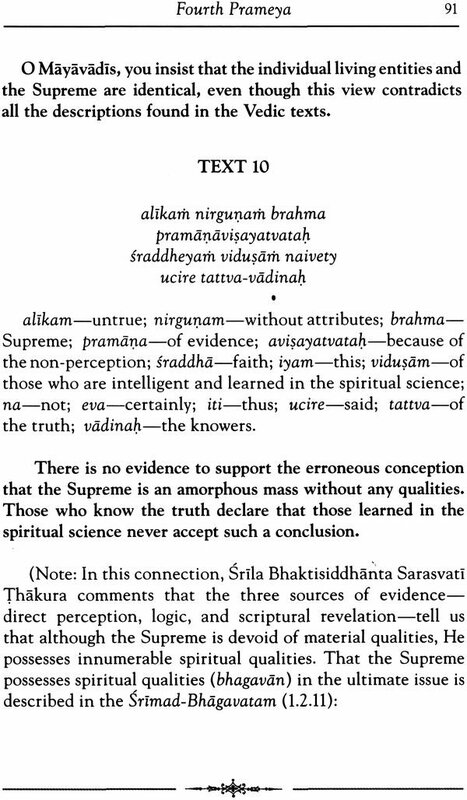 His commentary on the Bhagavad-gita is also quoted by Srila Prabhupada in his own commentary many times. Srila Baladeva Vidyabhusana appeared in Orissa at the end of the seventeenth century or the beginning of the eighteenth century or the beginning of the eighteenth. At an early age he learned Sankrit grammar, poetry, rhetoric, and logic and then traveled to holy places throughout India. While traveling, he met the followers of the great teacher Madhvacarya (A.D. 1239-1319). Baladeva mastered the teachings of Madhva, accepted sannyasa, and continued his travels, spreading Madhva’s teachings as he went. After some years, at Jagannatha Puri, Baladeva met devotees in the line of Sri caitanya Mahaprabhu. Baladeva accepted initiation into the line and quickly became an expert in the gaudiya Vaisnava siddhanta. 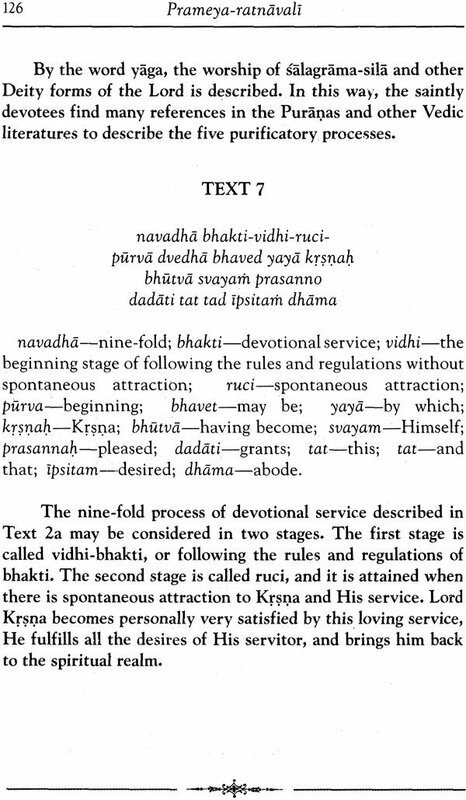 Baladeva then went to vrndvana to study under visvanatha Cakravarti Thakura, the foremost gaudiya vaisnava of that period. 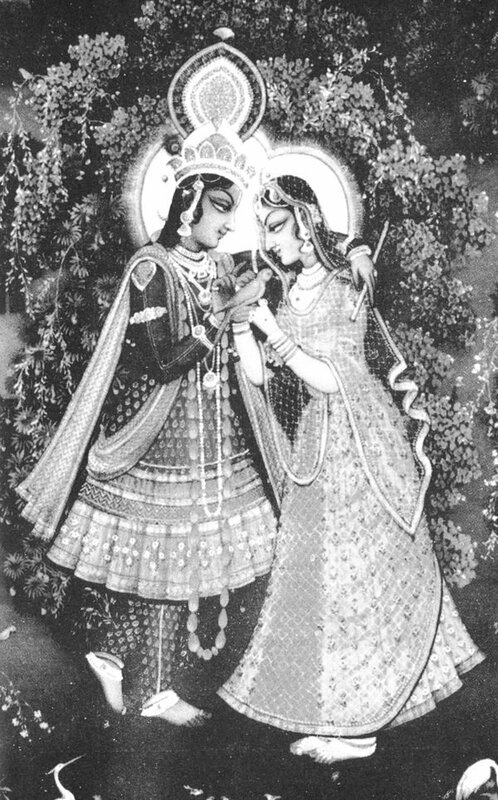 Visvanatha Cakravarti sent Baladeva to jaipur to resolve a dispute about the a dispute about the authenticity of the Gaudiya Vaisnava Line. Priest from another line were trying to convince the king of jaipur that they, and not the gaudiya vaisnavas, should worship the popular krsna Deities Gvondaji and gopinatha The priests said the gaudiya were inauthentic because they had no commentary on the Vedanta-sutra. Because of Baladeva’s pure devotion, the Deity Govindaji dictated to baladeva a Vedanta commentary known as Govinda-bhasya, and Baladeva was successful in his mission of authenticating the Gaudiya Vaisnava line. After the passsing of Visvanatha Cakravarti Thakura, Baladeva became the leader of the gaudiya vaisnavas. He wrote many books on the teachings of Lord Caitanya and is one of the most prominent teachers in Lord Caitanaya’s line. He left this world for Lord Krsna’s abode in 1768. This book Prameya-ratnavali, is largely based on the teachings of Madhvacarya, and thus a fontal attack on the impersonality teachings of Sankaracarya and his followers. 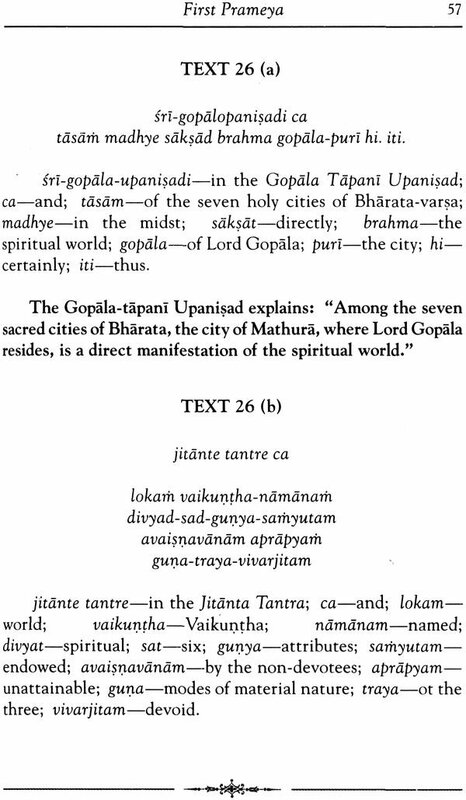 In that great battle Baladeva places before us numerous verses from the Upanishad along with their correct meanings.